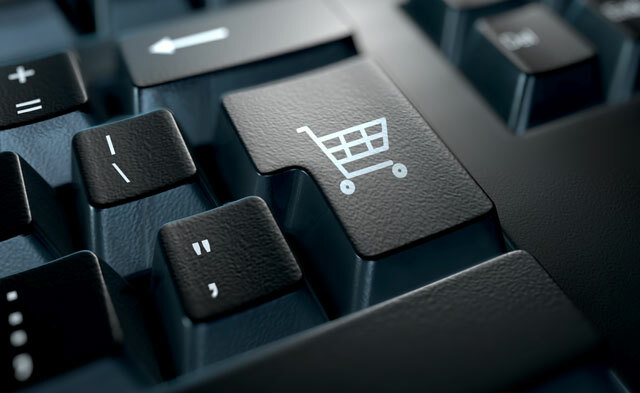 Digital payments business PayPal this week said it expects South Africans to spend more than R37bn online in 2016 as a high penetration of smartphones and cross-border shopping drive online spending. Mobile phones and tablets are expected to account for nearly R12 billion of that — a 70% growth on 2015. 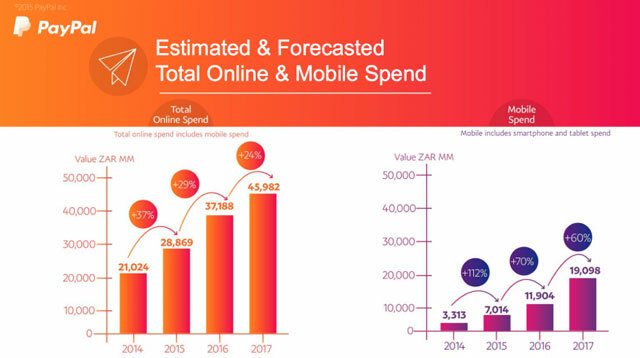 By 2017, mobile payments are expected to contribute more than R19bn to online spend of R46bn. Based on a recent Ipsos survey of more than 800 adult Internet users, PayPal found that 57% of them shopped online in the past 12 months. The majority shopped domestically only, while roughly a third shopped domestically and cross-border. The US, the UK and China attract most of South Africans’ offshore spend for reasons including better prices (China), access to items not available in South Africa and greater product variety (US and UK). The estimated cross-border spend for 2015 is R9,5bn, the bulk of which went to the US. The figure is expected to grow by 42,3% in 2016. Based on responses from 192 cross-border shoppers, the survey found the following items to be the most popular. 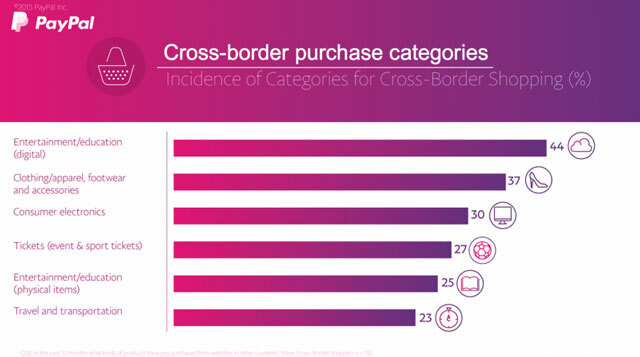 Among the most significant barriers to shopping cross-border are shipping costs, concerns that items won’t be delivered or won’t be in the expected condition when delivered, as well as worries around the security of personal and financial details. PayPal recently introduced a refund and return service, where it covers the cost of up to 12 returns per year at a maximum of US$30/return for users of its payments service. “It costs PayPal less to cover the returns in terms of the increase in shopping volumes,” said PayPal regional director for Africa and India Efi Dahan. More than a quarter of the 4,9bn transactions that PayPal processed in 2015 were done via a mobile device. The company boasted total payment volumes of $282bn last year and revenue of $9,2bn.